Rachel O. Amaning serves as a Finance and Administrative Assistant at the World Cocoa Foundation (WCF), where she’s responsible for bookkeeping of the Ghana office and assisting the finance manager on a daily basis. She joined WCF as National service personnel after completing her university programme in accounting in 2014. In 2012, she was engaged under the internship programme with the National Health Insurance Scheme (NHIS) where she supported all departments but mainly the accounts department managing daily transactions of the scheme. While there, she led teams to design and present on innovative ways of coordinating activities at the Scheme to provide better services to the public. Prior to that she worked as a volunteer with young people teaching and mentoring them to become responsible people in the future. 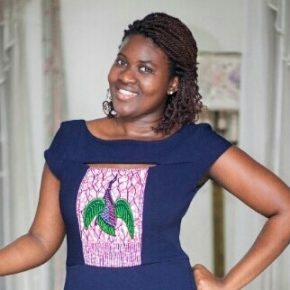 She studied Accounting at the university and currently pursuing a professional qualification with the Institute of Chartered Accountants Ghana (ICAG).